Randall is passionate about new venture creation and the innovative spirit that fuels entrepreneurs and advances in technology. As an active investor and entrepreneur, he understands what it takes to successfully launch and grow a new business. He regularly publishes articles and speaks on entrepreneurship, venture capital, healthcare and the rise of blockchain technology and cryptocurrencies. Over the past decade, Randall has led over 40 angel investments and deployed over $60M across 14 companies as a venture capitalist. Randall is a co-founder and Managing Partner at TEXO Ventures where he focused on tech-enabled health services and he is the sole founder and Managing Partner at Novē Ventures where he focuses on investing in existing companies looking to leverage blockchain technology. Prior to TEXO, he led the Central Texas Angel Network (CTAN) to becoming one of the most active angel networks in the country. Randall also founded and launched Texas Venture Labs (TVL) at UT in order to give the next generation of investors unique experiential learning opportunities outside of the classroom. 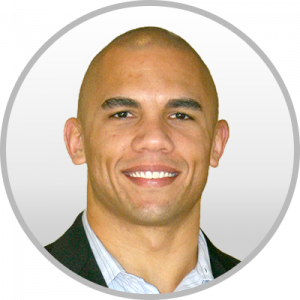 Before getting involved in venture and entrepreneurship, Randall was a Captain in the United States Army and is both Airborne and Ranger qualified. He served over six years active duty and deployed twice in support of Operation Iraqi Freedom where he was awarded two Bronze Stars for his actions during combat operations. Randall holds a BS from the United States Military Academy at West Point and an MBA from the McCombs School of Business. He is also a Kauffman Fellow and member of the Young Entrepreneur Council (YEC).